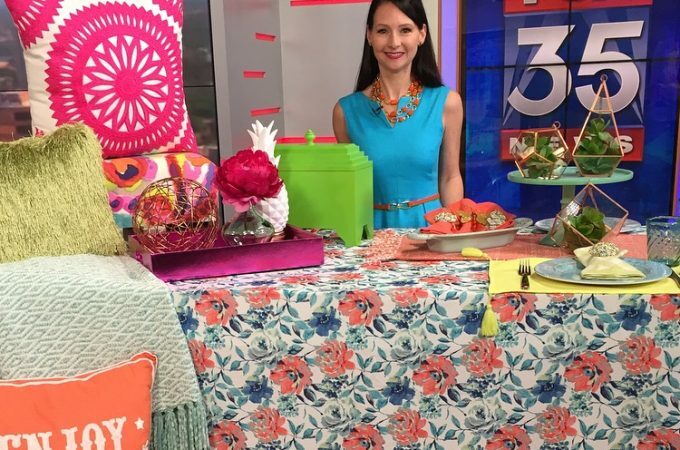 Mixing patterns is all the rage in fashion right now and the trend bleeds over into home décor so don’t be afraid to mix a bold floral print tablecloth with checkered napkins and a textured runner in bright coordinating colors. 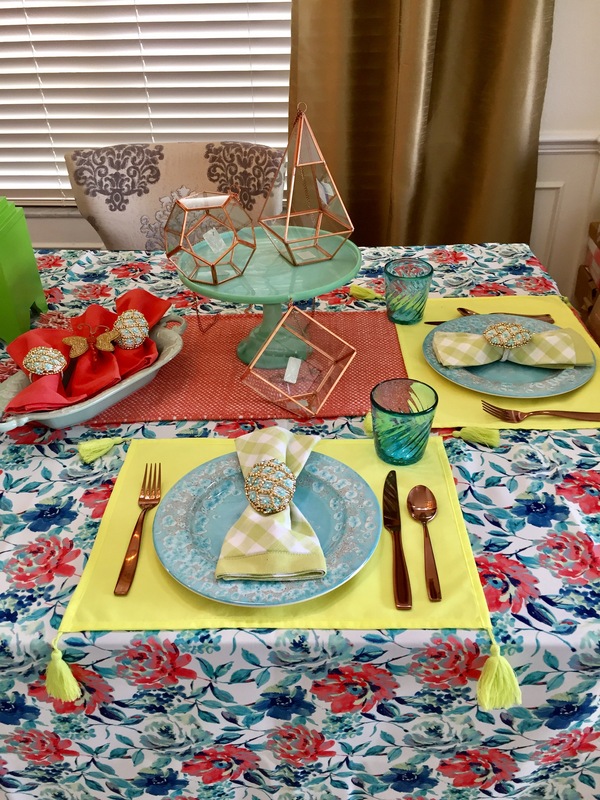 The best way to brighten your house – and mood – for Spring is by adding the pantone color of the season “Greenery” and mixing in the still trending colors in blue hues or bright pops of color! 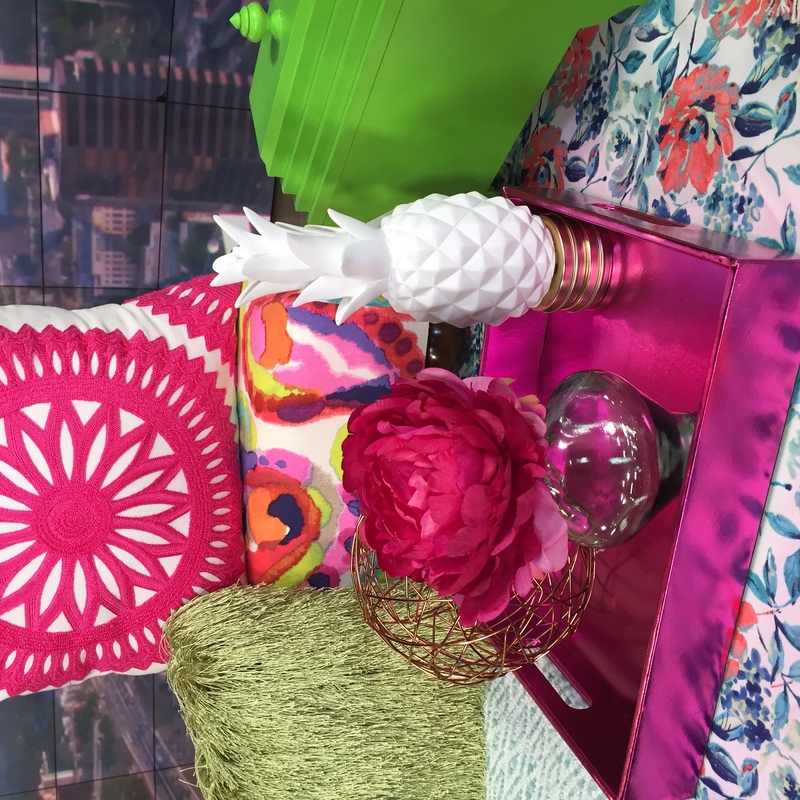 Design Tip: Quick and easy changes like these don’t have to be expensive, you can get just a few new accessories or pillows for your bedroom or living room for just $10-$25 or add some new plates and placemats to your kitchen for $2-$4 each. Mixing in pieces with a lot of texture like pillows and throws or stone or handcrafted ceramic pieces gives your space a unique personality with a lot more dimension and interest. 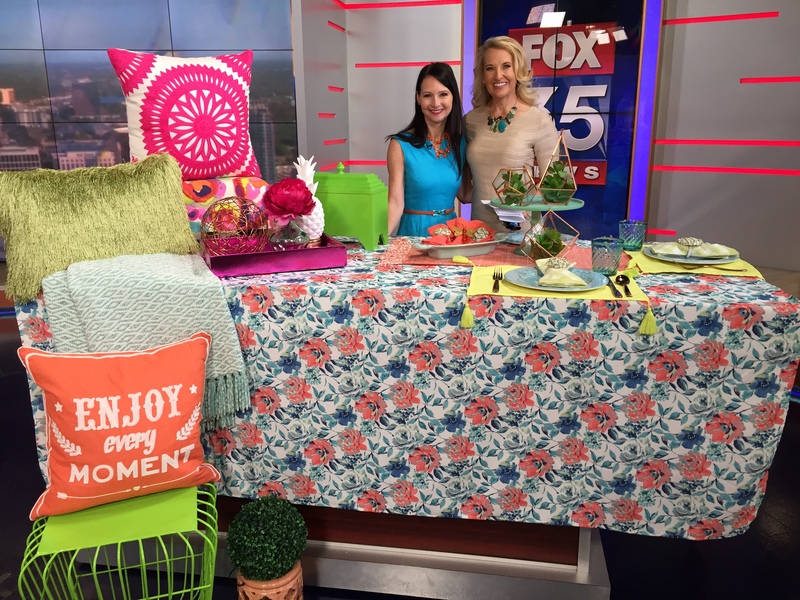 Design Tip: Imperfect is Perfect! The key to mixing styles is to make sure there is a thread of something in common in the pieces you are trying to bring together. 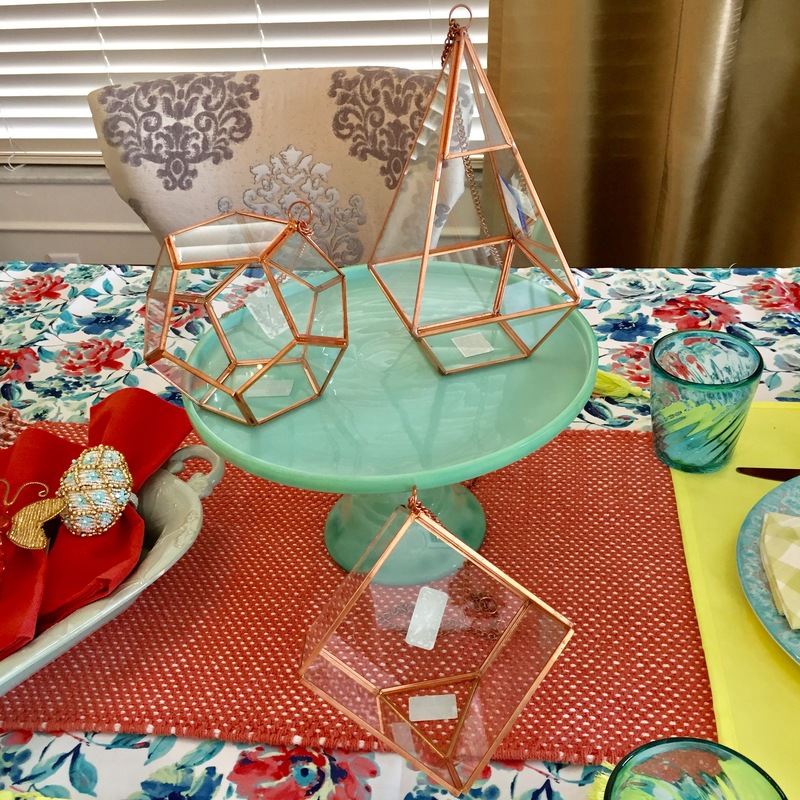 Use similar base color tones or metallics, or look for similar shapes or forms in the pieces you are mixing… Pieces with a common thread will work great together even if they are traditional mixed with industrial! Typographic design is still big in design so surround yourself with great “notes to yourself” in your pillows and artwork. 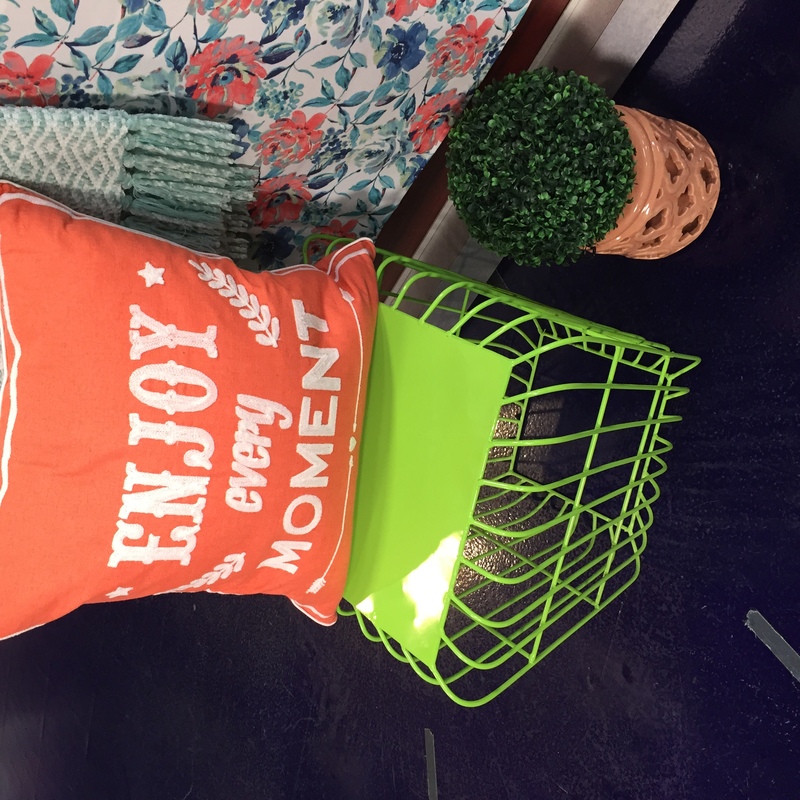 It can be a great way to keep some positive reminders in your daily life! 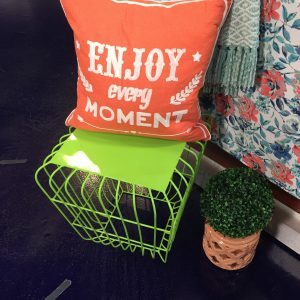 Add some brightly colored versatile seating that could also be utilized as a side table to set drinks on like this bright green metal on from Homegoods for $39. 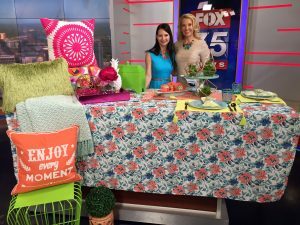 Add some brightly colored pillows, planters and accessories for a fresh new look that is affordable and inviting to draw you out to enjoy the wonderful Spring weather outside. Add some new and fresh artwork. It’s so easy to add some life to your kitchen in an extremely affordable way by changing your table linen to a brighter hue or add a great pattern for some chic style then add some bright placemats, napkins or dishes to refresh the look. 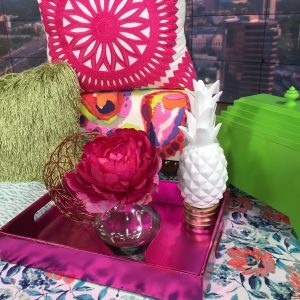 It’s easier than you think to also update your décor by changing or updating pieces you currently have such as painting a side table another color or changing the fabric on your kitchen chair cushions to bring a Bright Green or Indigo into your space. It’s additionally easy to spray paint some serving trays or cover in a fabric you love to repurpose an item that you already have. 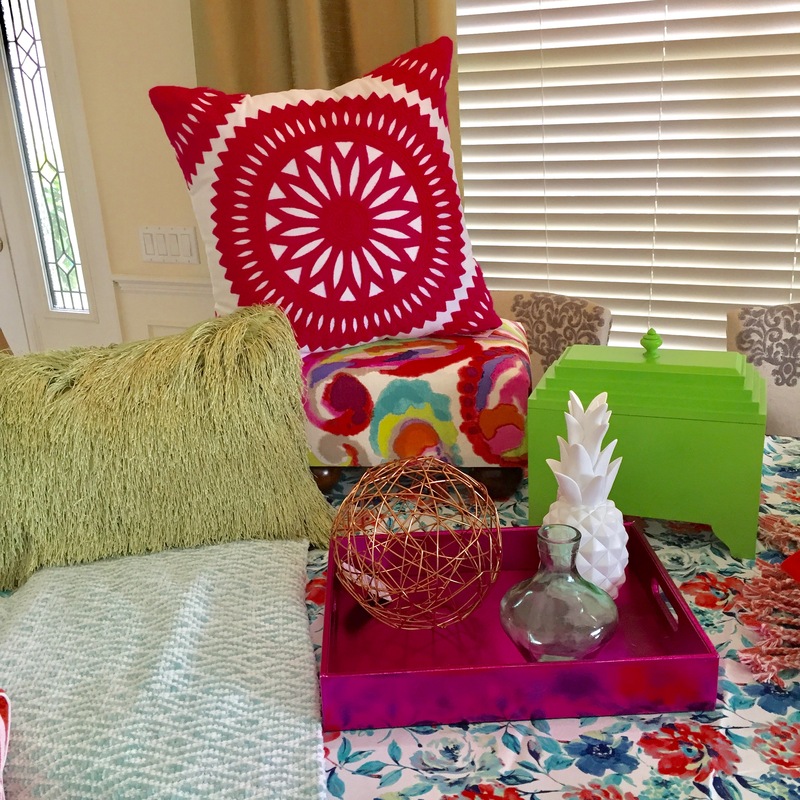 Don’t be intimidated by change, go for it and you will love the results and have a brand new cheery environment to start the new season!